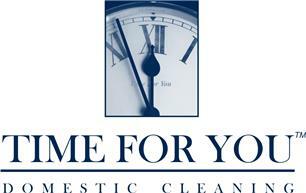 Time for You Fife - Cleaning Services based in Burntisland, Fife. Are you looking for an honest, reliable and affordable, domestic cleaner in the Fife area? We have been operating in the Fife area for the last 11 years and during that time we have become the largest providers of domestic cleaning and ironing services. This month’s offer just for YOU.£10.00 off your first clean. Do you dread household chores? Together with a database of 180 friendly, experienced and expert cleaners, we have over 500 clients in the areas of Dunfermline, Kirkcaldy, Glenrothes and as far as St Andrews including all the little places in between and are committed to delivering a quality cleaner service at all times! Do you really make the most of YOUR spare time? What if… All those time consuming, household chores were done for you? What if …You could spend more quality time with your loved ones! You no longer have to spend your leisure time trying to catch up on your housework. You can come home to a house that has been cleaned to your complete satisfaction. Just tell us what your needs are and we'll custom tailor the cleaning service to suit you. "Thank you Time for You for finding me a total gem of house-keeper. Linda's cleaning is excellent. We love coming home from work to find our house sparkling, her little finishing touches around our home are exceptional. The family have nick-named her Mary Poppins. Cannot thank you enough"
Prepare a list of what you want cleaned and start enjoying yourself with your family and friends. That’s all it takes! Whether you're looking for one time or a long-term cleaner, we are here to provide you with the top quality domestic cleaner that you need. Each client's house cleaning service is treated with as much consideration and care one would expect and we proudly uphold the highest of ethical standards as if we were cleaning our own home. So even if your regular housekeeper is on holiday or off sick, we can allocate a replacement until your own housekeeper returns. You will not only enjoy the same local cleaner every time, but someone who has been fully vetted (this is done in their own home), with references and criminal records checked* so you will have the peace of mind knowing that your house is being cleaned by an honest, reliable, professional cleaner who will be happy to change your bedding and do the ironing too! Just tell us what your requirements are and we will do the rest. In today's fast paced world what would you give to be free from those time consuming domestic cleaning chores? Wouldn’t you be happier? Of course you would. Contact us today and start enjoying your weekends again! Call Hazel or Ralph for daily, weekly scheduled cleaning service or for any other domestic help needed in your home. If you seriously want to free up some of your precious time, don’t you honestly think that Time for You - House Cleaning Fife is your answer?